Heat oven to 350°F. Spray 8-inch square pan with cooking spray. Separate dough into 5 rolls; set icing aside. Cut each roll into fourths. 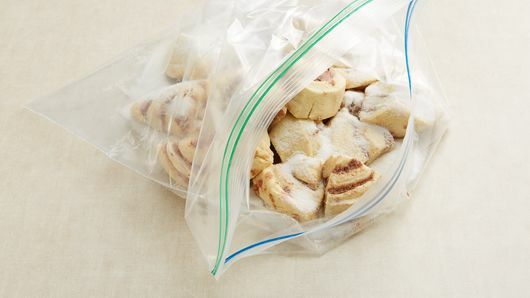 Place pieces in large resealable food-storage plastic bag; add granulated sugar. Seal bag; shake gently to coat. 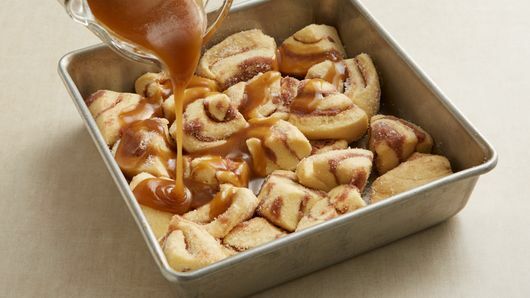 Arrange roll pieces in pan; discard remaining sugar. In small bowl, stir together brown sugar and melted butter until well blended. Pour over roll pieces. Bake 25 to 30 minutes or until golden brown and no longer doughy in center. Cool 10 minutes. Place heatproof serving plate upside down over pan; turn plate and pan over. Remove pan. Cool completely, about 30 minutes. Divide icing in half, and add green gel food color to one half, mixing to combine. 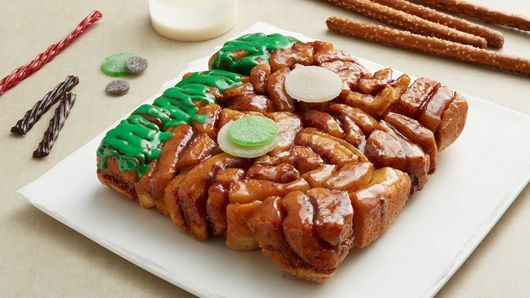 Drizzle or pipe green icing on top section of square, to look like Frankenstein hair. Use remaining icing, licorice, gumdrops and candies to decorate face as desired, using photo as a guide. 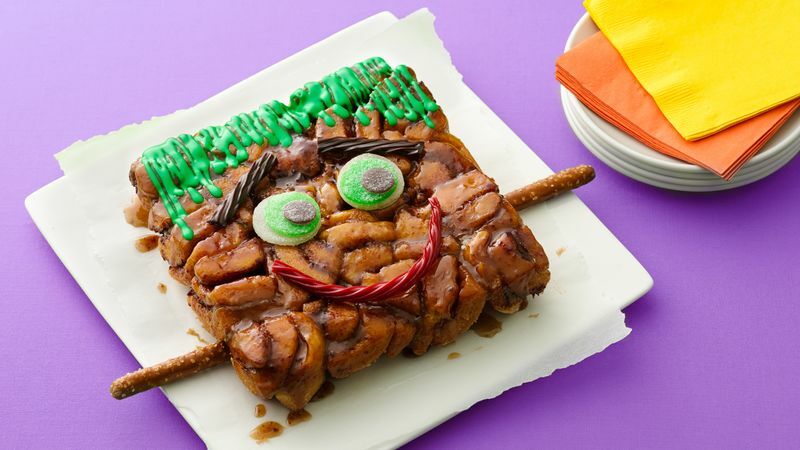 Insert pretzel rod halves in either side of Frankenstein face. 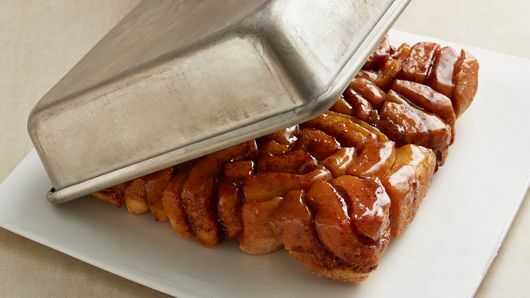 To avoid runny icing, let monkey bread cool completely before decorating. Don't want to use candy for decorating? Substitute fresh fruit.